On the 25th of April Q for IT and SAP hosted the SAP CodeJam about IoT Foundation and SAP Cloud Platform Integration. Several speakers from Q for IT and SAP covered interesting topics about integration and the Internet of Things. A very exciting and fully-packed CodeJam with lots of enthusiasts from all-over the community was the result. Together with Frank Basten, presales SAP Cloud Platform and IoT, I had the honor to do the kick-off by introducing CodeJam-host and SAP Partner Q for IT. Frank positioned SAP Leonardo (IoT) as System of Innovation, a Mode-2 extension to the more or less traditional Mode-1 Systems of Record from SAP. The combination of Mode-1 and Mode-2 results in a Bi-modal landscape with a two-speed development cycle. The programming model for IoT is shifting from being cloud-centric to a distributed edge-cloud model. 45% of all IoT data will be stored, processed, analyzed and acted upon at the edge. Real-world data can also be used in the core ERP application by using SAP Leonardo IoT Edge. Edge Computing extends cloud computing to the edge of the network, closer to the source of data while still using the cloud for the heavy lifting. So why do all of this work at the edge, and not within the core ERP system where all master data resides? The four most important drivers for edge computing are Price, Bandwidth, Latency and Intermittency. Data communication is still relatively expensive due to the fact that we need mobile communication networks like 3G, 4G or LoRaWAN when operating in the field. In some areas there is limited or no stable connectivity at all, for example offshore Oil Rigs and underground or off-grid work sites. The huge amounts of data that are being generated by the sensors at the edge are impossible to transfer to the core as a whole at once, due to limited bandwidth and network latency. SAP Cloud Platform Architect Roelof Kuipers demonstrated SAP’s Volvo Ocean Race case, where the racing team of the Akzo Nobel racing yacht is equipped with wearables for monitoring and measuring the crew’s physical well-being. Heart-rate, hours of sleep and body temperature are useful inputs to schedule the crew’s working shifts real-time based on real data. Combining this data with the ship’s geographical data and deviations from the ideal navigational path, results in even more insights for optimizing the performance in the next racing leg. Satellite communication is costly, and civilian network coverage on open sea is very limited. The Volvo Ocean Race regulations do not allow real-time data communication between the boat and the on-shore team. Therefor all data during the racing legs is collected on-board with SAP Leonardo IoT Edge. 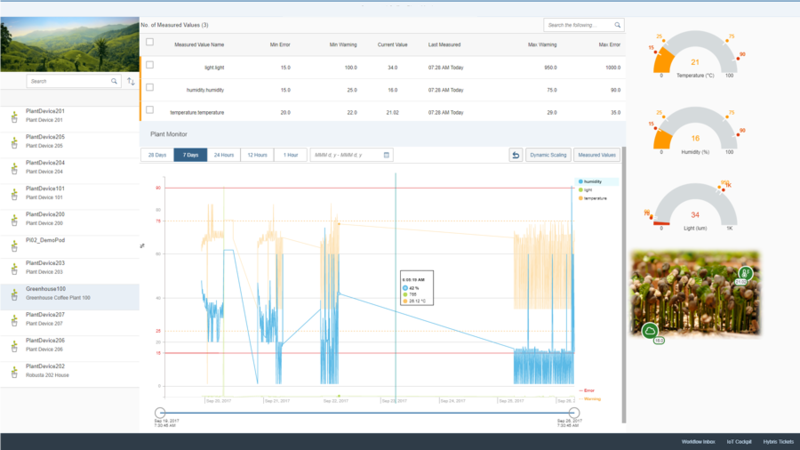 When entering the harbors, all data gets offloaded, processed and analyzed for optimizing the team’s performance during the following leg. Integration is crucial within the Innovation game, as it is the cornerstone for digital transformation across the entire SAP portfolio. The scope of Integration is rapidly increasing due to fast evolving system landscapes. In other words; with integration we are able to bridge the Systems of Record with the Systems of Innovation. Q for IT has been in the Integration game for more than 10 years, with lots of experience in both on-premise integration (SAP Netweaver PI/PRO) middleware and Cloud integration with SAP Cloud Platform Integration. After a short coffee break Katrin von Ahsen, Product Manager SAP Cloud Platform Integration and IoT, updated us on the roadmaps about the Cloud Integration service of the SAP Cloud Platform Portfolio. SAP Cloud Platform Integration, CPI in short, seamlessly connects cloud applications with other cloud and on-premises apps, both from SAP and third-party providers. SAP API Business Hub for discovering pre-packaged integration content and the new B2B capabilities (Enterprise Edition only) were discussed, as well as the new Integration Content Advisor for provisioning a self-learning integration network with a complete interface library for B2B and A2A integration scenarios. The all-new Process Direct Adapter was released to establish fast and direct communication between integration flows, by reducing latency and network overhead. The only restriction is that these integration flows should be deployed within the same tenant. Communication between two iFlows running on the same tenant is no longer leaving the tenant in a loop over the public internet and back into that same tenant. With cloud, mobile, and Internet of Things scenarios added to system landscapes, the scope of integration constantly increases. Therefor the Integration Solution Advisor Methodology (ISA-M) was introduced by Katrin, a useful template for Integration Architects. ISA-M helps enterprise and integration architects to shape their integration strategy. 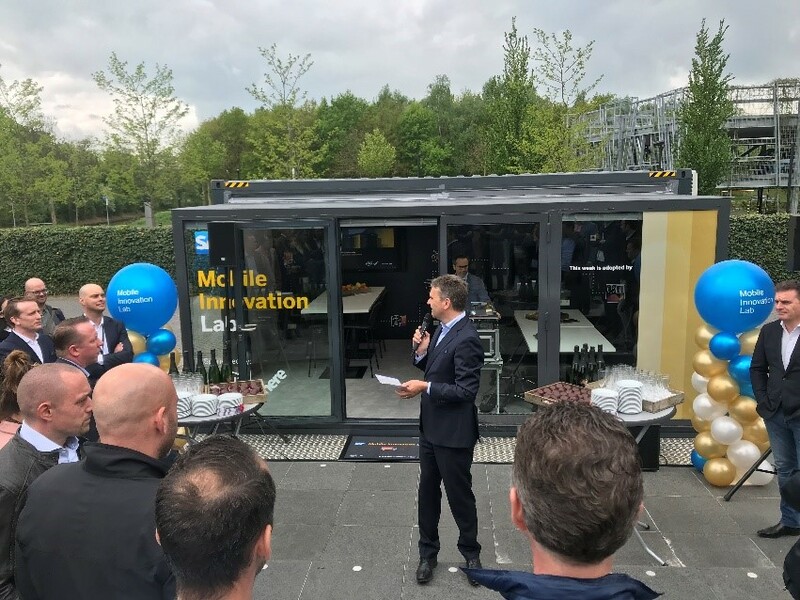 During our lunch break we were invited to visit the official opening of the SAP Mobile Innovation Lab, the successor of last year’s Run Live Truck. Q for IT was also involved in one of the last year’s innovation cases developed in the Run Live Truck. The concept is quite the same: 1 week, 1 team and 1 innovative prototype. In just 5 days the Mobile Innovation Lab crew brings an innovative idea to life and builds a tangible prototype on the customer’s doorstep. The team consists of SAP Experts and Expertise Partners, also the customer is involved for providing input in- and prioritizing the features of the end product. After the lunch there was the moment we were all waiting for, hands-on with the tooling! Kenny van Sleuwen, SAP Principal Solution Architect for IoT & Cloud Integration and Vijay Singh Rajput, SAP Cloud Platform Application Architect kicked off the practical second half of the day. The objective: to build a Digital Twin and Develop an IoT Application for Industrial Assets. The objective was accomplished in three stages, Connect, Enable and Build. The first part, connecting a sensor station, was already prepared for the participants. Humidity, temperature and light values were the input data for the IoT Service. Then a Digital Twin in IoT Foundation needed to be created for the next step; building an application in the code-free Application Enablement environment by dragging and dropping smart controls into the application canvas. All sensor data was then presented in this application in near real-time. Focus and commitment during the Q for IT CodeJam at SAP Nederland. Wouldn’t it be great to see what creative add-on solutions SAP Partners like Q for IT can come up with? My colleague Salim Dahchour, SAP Integration Consultant, demonstrated two very useful partner solutions developed by Q for IT as an extension on CPI. First we got to see the Exactly Once With Sequencing solution which extends the functionality of CPI by adding the Exactly Once (EO) Quality of Service (QoS) by processing data store messages in sequence of arrival in CPI. For more details, read the Blog Salim and I wrote about this topic. Then, our Keystore Alerting Framework solution got highlighted. This pre-packaged CPI content will help you to have stable daily operations, by sending email alerts in case a certificate is expired or about to expire. Based on parameters, you can choose when you want to receive the mail alert. Also visit the SAP App Center for more partner solutions we developed for CPI. After the nice demos from Salim, Kenny van Sleuwen showed us one of the innovations he is working on currently, the Smart Wheelchair. The long-term effects of sitting in a wheelchair can be devastating — patients can get pressure ulcers and spine and muscle deformities, feel pain, or simply be exhausted after up to 14 hours of sitting. Bad posture is a major challenge, because often wheelchair-bound patients are not able to control or change their sitting position on their own. SAP Netherlands is working to change this by developing a smart wheelchair. Created in collaboration with Dutch manufacturer of wheelchairs and mobility scooters, Life & Mobility, an advanced prototype of the smart wheelchair has integrated sensors that continually generate mass data from the patient actually sitting in it; for example, the pressure distribution in the seat and backrest. Based on SAP Leonardo, Big Data is collected and stored centrally in SAP Cloud Platform and analyzed with help of SAP analytics. IoT & Integration: how to integrate real world data with analytical and transactional applications? Hyper Connected. Real-Time. Smart. Integrated. I would like to thank all participants, my colleagues and of course SAP Nederland for helping me make this CodeJam a great success. We like to see you all again next year! For questions, please contact me via my SCN profile. As a consultant that has not participated in IoT projects yet, it’s been a very informative blog.